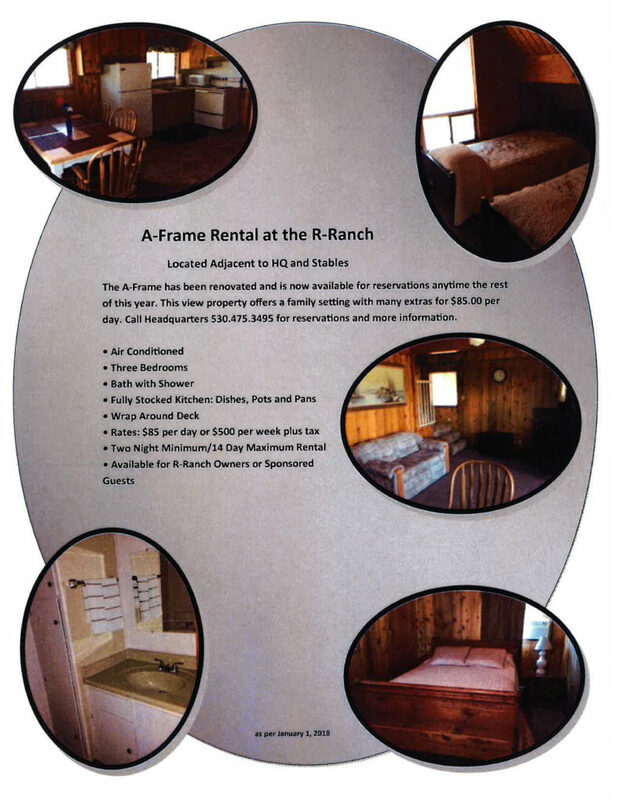 The A-Frame has been renovated and is now available for reservations anytime the rest of this year. This view property offers a family setting with many extras at a low introductory rate of $85.00 per day and $500 per week. Call Headquarters 530.475.3495 for reservations and more information.